SDN | How can start-ups utilize service design? How can start-ups utilize service design? 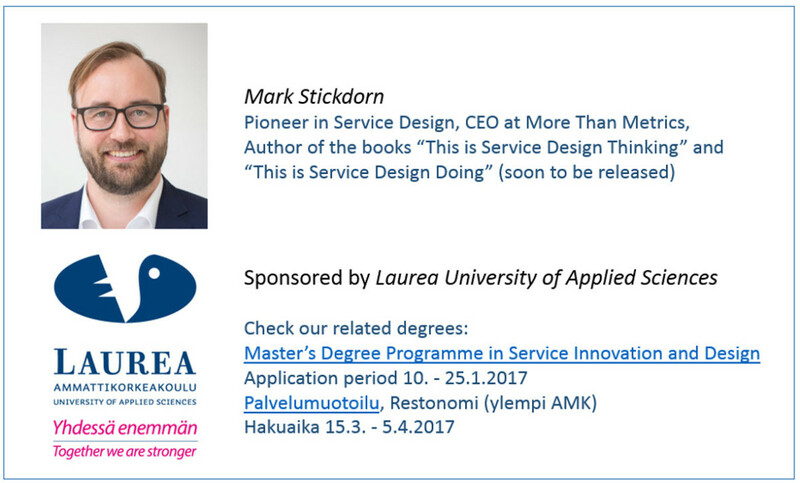 SDN Finland MeetUp on Feb. 8 Marc Stickdorn & an interesting panel discussion on "How can start-ups utilize service design?" featuring our SDN Kick grant winners from Fambition Oy, Panda Training Oy and Punos Oy. Welcome to listen to one of the pioneers of Design Thinking, Marc Stickdorn. After his key note we will learn from our panelists, the SDN Finland Kick Grant Winners, how they managed to utilize Service Design in developing their own businesses.